Sweet, crunchy peas on compact container-friendly plants. Conquer small spaces and cool temperatures in a snap! Or, we might add, a snack! Versatile new variety combines the best qualities of a snap pea—plump pods bursting with juicy sweetness, and refreshing c-c-r-runch—packed into compact plants bred for container-friendliness. 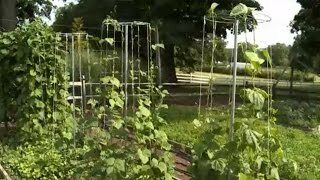 Self-supporting vines, reaching 32” in raised beds, will be slightly smaller in containers, yet don’t sacrifice a single snappy pod. Pea, Little SnapPea Crunch is rated 3.7 out of 5 by 6. Rated 5 out of 5 by Amberleeho from Delicious! Amazing peas! These peas are nice and short. Perfect for my raised beds. The peas are delicious! They are still doing well in the 80 degree weather. Rated 5 out of 5 by Fifi from Great! Great pea pods! I enjoyed my snap peas in salads and stir fries. Rated 1 out of 5 by Hylander56 from Black Thumb I planted all the seeds. Not a single one sprouted. It's my black thumb at work again. I don't blame Burpee, I can't grow anything. Rated 1 out of 5 by Mrslee from Inedible I'll have to figure out what I put in last year, because I can guarantee you this wasn't it. Zone 7. Planted as instructed. Got about 30 edible pods and then the rest came in so tough they were inedible. Rated 5 out of 5 by Kay in MD from Wonderful! Very few actually made it into the house last year because they were eaten straight from the vine. Super sweet, crisp and juicy, I'm planting more this year. 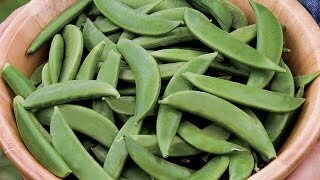 Rated 5 out of 5 by Dees Garden from Great snap pea Super sweet, big, healthy plants, excellent germination - almost too good! Plants quickly overwhelmed their small trellises, and I had snap peas everywhere! Absolutely delicious, too. I will definitely grow this variety again.